According to Bugeja et al there were two auberges of Castille, one of which was known as the vecchia alberghia di Castiglia. No known remains of this can be traced. 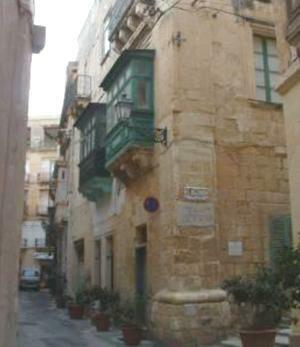 The only remains of the second auberge, located in what was formerly known as Barrack Front Street, are a corner pilaster (quoin) and a number of windows having what is termed as “correct Renaissance mouldings” that are attributed to Niccolò Bellavante. The quoin exhibits a Melitan feature that may be out of date since the window mouldings are of different style. This second auberge was most probably built during la Sengle’s reign as Grand Master. Auberge de Castille et Portugal (Leon), 57-59, THilda Tabone Street, Vittoriosa was scheduled by Mepa as a Grade 1 national monument as per Government Notice number 1082/09 in the Government Gazette dated December 22, 2009.